Is there a special occasion, event or the memory of someone that you would like to mark or commemorate? Would you like to do this using flowers? 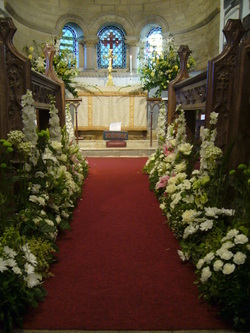 Flowers are usually placed by the altar and can be an arrangement or simply a bunch. If you would like to do this occasionally or just once a year please let us know. No expertise is needed! Just use the flowers to express whatever you wish. path. It all helps to keep our church an inviting and welcoming place. Please let us know if you would like to be involved.